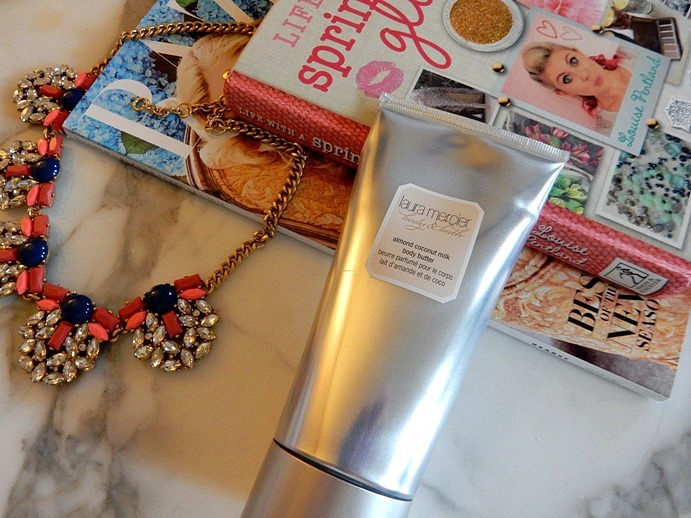 Laura Mercier, Best Hand Cream Ever? Now let me tell you a little bit about my love affair with Laura Mercier body butter and hand creams. Come winter, I simply can’t live without a good hand cream. As soon as I wash my hands, suddenly my skin feels as dry as the Sahara desert, and let me tell you – it’s not fun. So, of course I’m always on the hunt for hand creams to stash in my handbag, store in my desk and place on my bedside table. Basically, if I don’t have a rich hand cream in reach at all times…I start to panic. No. Good. I Love, Laura Mercier Body Butters – Okay? At a Nordstrom biannual beauty event, I discovered just how fabulous Laura Mercier’s body butter is as a hand cream when I received a tube of their Almond Coconut Milk Body Butter to stash in my purse. From then, every time I applied it as my hand cream I felt like I was going to heaven. The cream was rich and moisturizing…and smelled 100% delicious. I loved it so much that I found myself sitting and smelling my hands like a freak afterward, savoring the scent. Then, in December, Laura Mercier released a fabulous gift set that featured four scent variations of their heavenly cream. 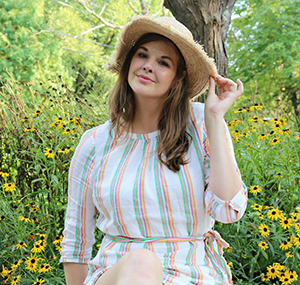 I snatched that thing up – fast! Upon loving and devouring the gift set, I realized there was simply no way I could survive a winter without it. Perusing Nordstrom.com, I weighed the difference between two variations of the cream. While the Body Souffle still had the price tag of $60, the Body Butter was $35. That’s a huge difference when you’re talking about hand cream. $35 Tube v. $60 Jar. Who wins? Usually, price determines quality – but imagine my surprise when I found that I actually enjoy the cheaper $35 version significantly more than the $60 variety. It’s much richer and better satisfies my dry winter skin’s thirst. It’s also much thicker, meaning you can use a smaller amount for even bigger results. Thrilled with the knowledge that my preferred tube version was nearly half the price of the jar, I immediately snatched that up and here we are talking about it on Dream in Lace. I know it sounds bizarre to say that I’m absolutely in love with a hand cream…but I AM absolutely in love with a hand cream. Of course, $35 is still a lot when you’re thinking about lotion…but it’s thick, rich and delicious that I can justify every single penny spent. When it comes to my hands at wintertime, I apparently have needs…okay? 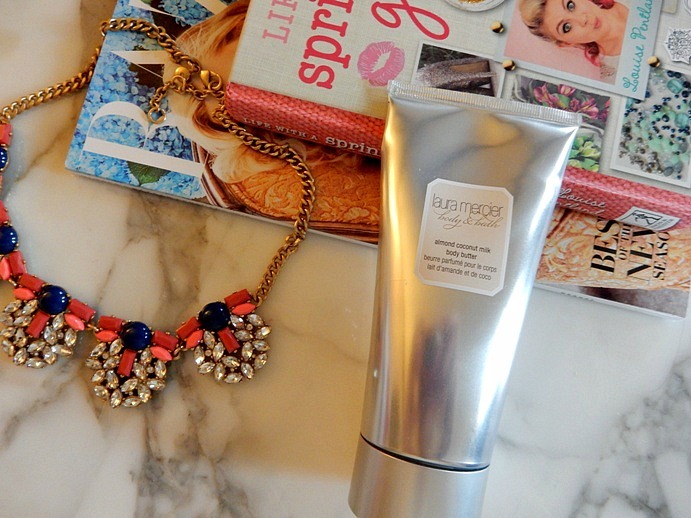 Truly, Laura Mercier makes the best hand cream…ever. Final Verdict: A+ Laura Mercier’s ‘Almond Coconut Milk’ Body Butter is rich, extremely moisturizing, lasts long on the skin and smells like a French bakery. What more could you want?